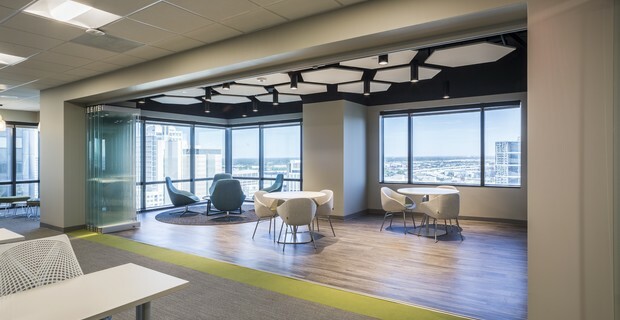 Current space planning trends are turning away from closed offices and cubicles and embracing a more open, and collaborative use of space with brighter interiors. Businesses are often requiring more flexible square footage due to overall changes in the way people work. 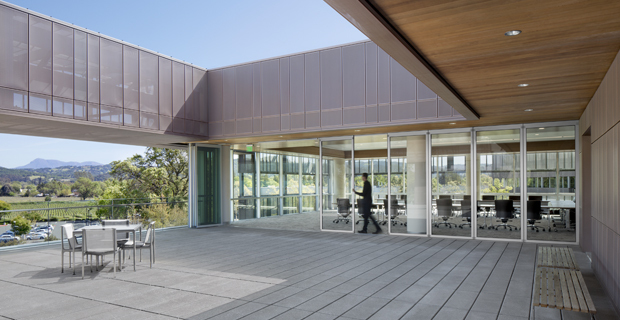 A NanaWall interior application provides flexible use of space and an opportunity to harvest natural daylight and views while also providing sound attenuation and privacy when needed. Today's businesses must be able to adapt to changing market conditions with agility and purpose. To support the responsive nature of modern business, the American office needs to change. And sometimes, it needs to change more than once a day. 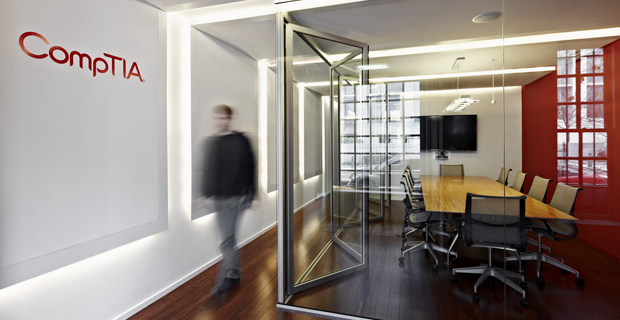 Moveable glass wall systems allow office tenants to shift room layouts at any time. The ability to extend a room gives tenants greater control over how they work. Business owners can separate workspaces into individual offices or pull them together into one large space as priorities shift throughout the work day. 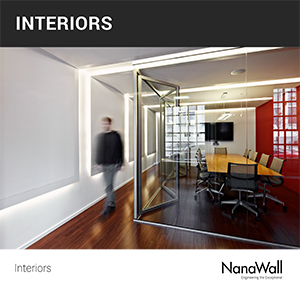 When a project demands concentration, NanaWall solutions provide effective noise reduction and privacy. 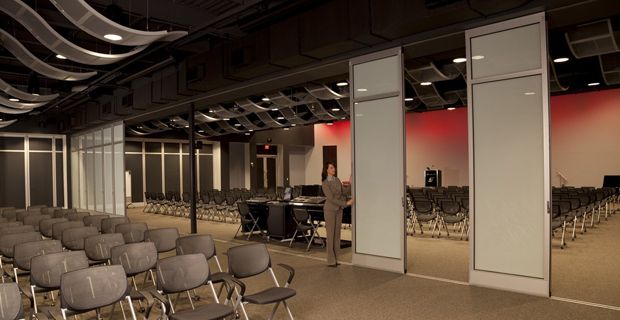 When the boss wants to speak with the whole company, our operable glass partitions retract quickly and quietly to create an open space. NanaWall office glass wall systems allow one team to hold a confidential client meeting, while the rest of the staff collaborates in an open environment. The ability to change the space will help teams improve productivity. 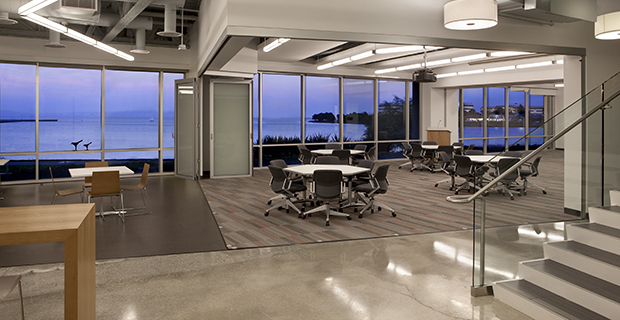 Our glass wall systems are completely customizable. NanaWall offers proprietary specifications for branding, and business clients can also benefit from reduced costs on logos, hardware styles and signature colors. Each NanaWall Systems product is independently tested for air, water, forced entry and thermal performance. Our patented multi-point locking system meets most forced-entry testing for commercial-grade doors. Likewise, built-in compensation points ensure continued use if building settling occurs. NanaWall will always be your main point of contact for all your service needs. Our dedicated team of specialists is here to evaluate your system and provide guidance as needed. 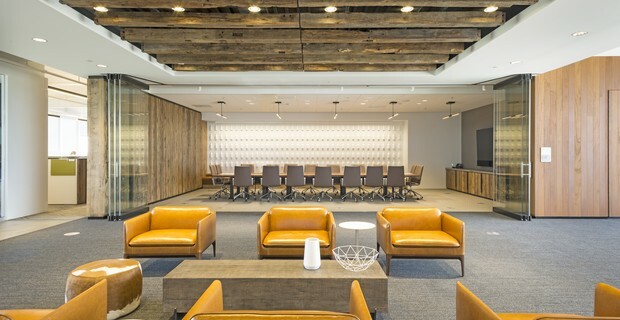 Preserving as much openness as possible and the gorgeous views while creating a flexible meeting room at Actelion’s U.S. Headquarters was a priority for this interior project. 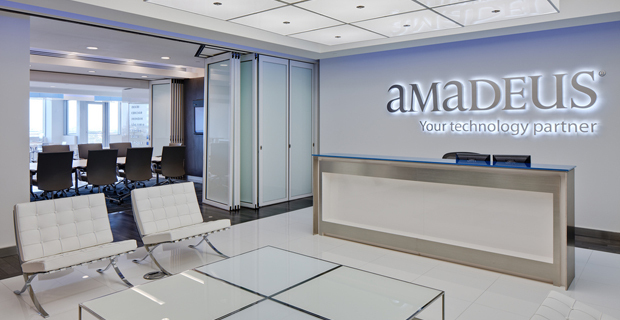 NanaWall Systems played a role in creating a successful “flexspace” at Amadeus North America. The HSW 60 systems used provided the sound attenuation and privacy when needed. Learn how TLCD Architecture designed this Building in Motion to accommodate rapid growth and change and to reflect the company culture of this growing financial institution. With "order and light" as the watchwords of the renovation project of the interior of CompTIA, KUBE set about finding ways to create a feeling of openness, while also providing privacy through sound attenuation. 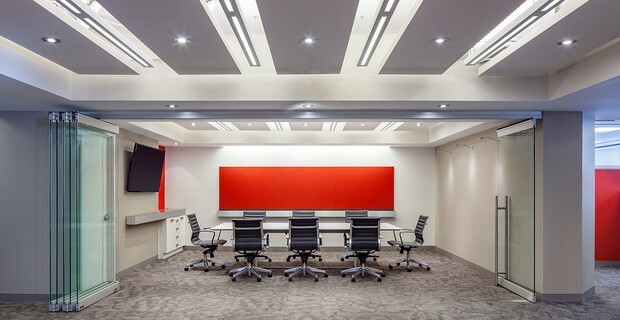 By designing the conference room with PrivaSEE, this office achieved a space with a high degree of acoustic privacy, while maintaining a sense of openness. 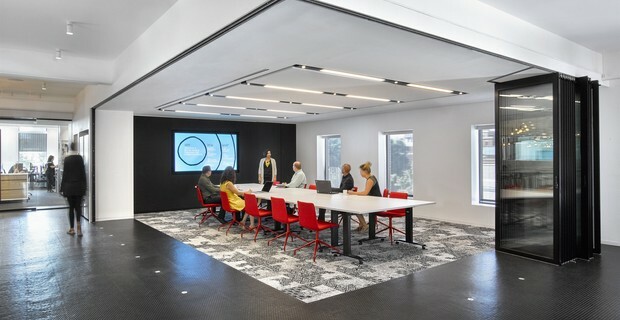 See how the architectural firm, Gensler, uses their own New Jersey office as a test lab for collaborative workspace design. This forward-thinking law firm was designed for openness and transparency, yet provide the confidentiality legal clients expect. In a tenant improvement, available space is finite, and at a premium. See how to transform space, on demand, into different-sized rooms with different functionalities. This medical device engineering firm desired a new attractive working environment that was open and collaborative yet confidential and private on-demand. 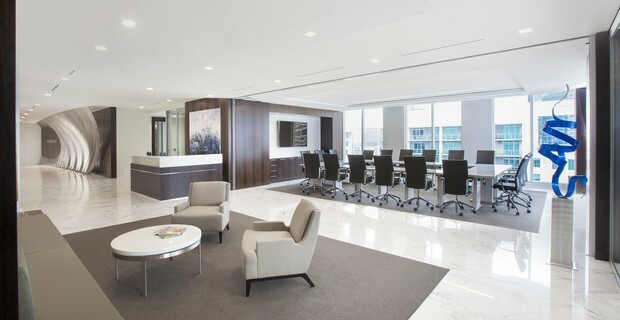 This office leveraged existing elevator lobby space to create a flexible, versatile public-facing conference room using a frameless opening glass wall. 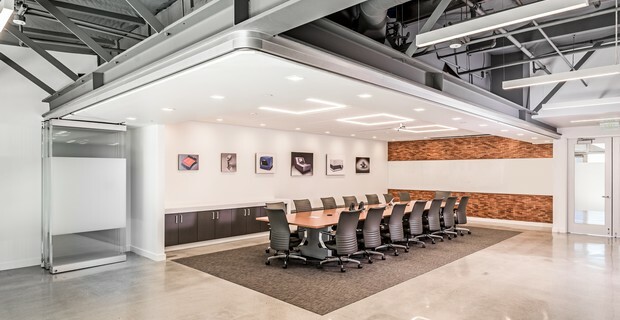 The goal at Snap-on Tools was to have a flexible space where smaller areas could be opened up to each other to accommodate large groups and still be able to afford some sense of privacy and quiet when the spaces were divided.